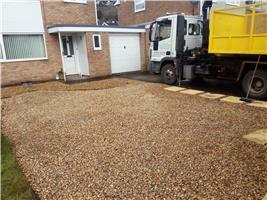 TP Landscapes - Driveways/Patios/Paths, Landscaper based in Llanharan, Mid Glamorgan. Hi my name is Tom I have been running our family business for 12 yaers now landscaping is a great passion of mine. We work on quality and multiple projects making sure our customers are happy at the same time our work involves everything from driveways, patios, walls, one-off garden clearances, fencing, Gates and anything you may need in the landscape industry contact us for more information.